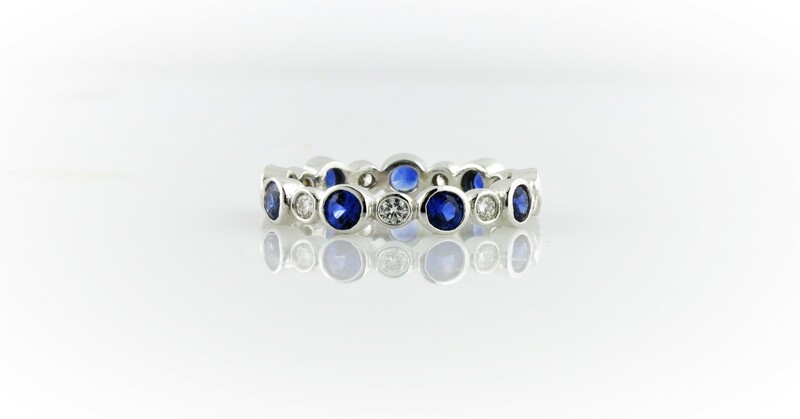 14kt white gold bezel set band with 9 round blue sapphires, total weight 1.30 carats and 9 round brilliant cut diamonds, total weight .30 carats. All handpicked and high quality. Size 7. Can be made in 14kt yellow or rose gold, in platinum, and in different finger sizes.